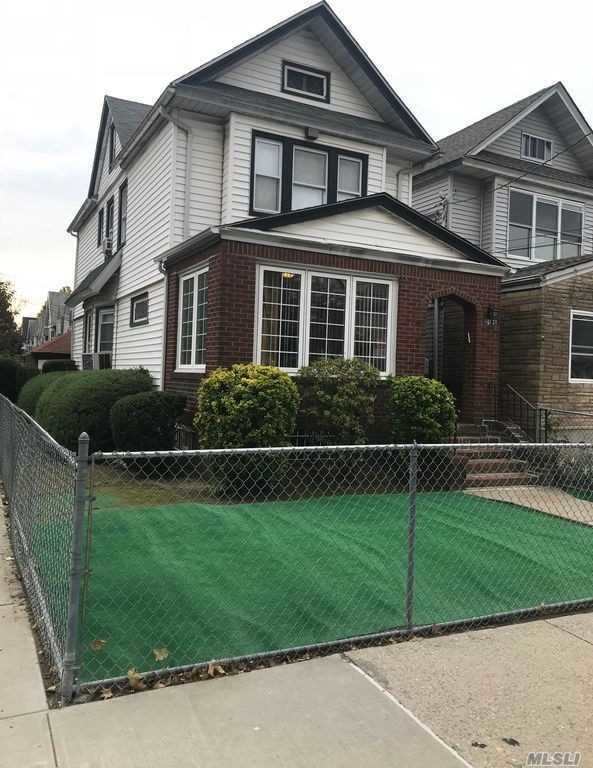 Very Well Maintained Attractive Detached Colonial On A Beautiful Corner Property.Brick Entrance, Hardwood Floors, Eik With Updated Appliances, Half Bath On The First Floor, Finished Basement With Separate Entrance, Garage, Gated Front Yard And Backyard. Centrally Located Near Houses Of Worship, Shopping, Forest Park And Public Transportation.Wont Last. A Must See!